KATHMANDU, Oct 14: Foreign Direct Investment (FDI) commitment to Nepal has fallen over the first two and half months of the current fiscal year. According to data provided by the Department of Industry, Nepal received Rs 4.56 billion worth of FDI pledges between mid-July and September of the current fiscal year, down by nearly Rs 1.51 billion compared to the figures of the same period of the last fiscal year. In the same period of FY2017/18, the country had received Rs 6.1 billion worth of FDI commitments. Foreign investors make their investment pledge at the Department of Industry after registering their company with the Office of the Company Registrar, specifying the amount that they want to make invest in the country. Though there were expectations that there will be huge flow of foreign investment with the country heading toward stability following the end of political transition, private sector leaders worry about the lack of interest among foreign investors to come into the country with investments. They say that red tape has been discouraging investors to come and make investment into the country. 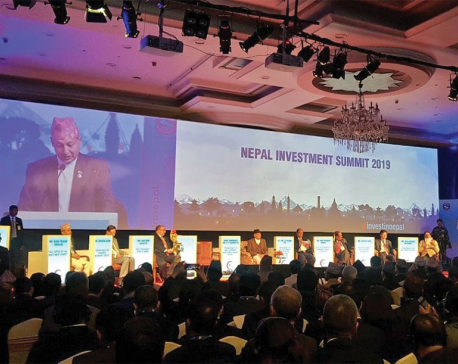 While the government enacted Foreign Investment and One-window Policy was in 1992, lack of basic infrastructures, assurance of investment protection and amendment to investment-related policies have been holding investors back to put their money into Nepal, say stakeholders. However, officials of the Ministry of Industry, Commerce and Supplies say that they plan to open industrial zones in each eight province to lure investors, including foreigners, into the country's manufacturing sector. According to the data of the department, foreign investors have made pledges to invest in 119 projects. There has been commitment to make investment of Rs 1.48 billion in manufacturing sector, Rs 1.29 billion in service sector, Rs 1.62 billion in tourism sector, Rs 244 million in construction sector, Rs 143 million in information and communication sector, and Rs 635,000 in agriculture and forestry sector. Though the investment pledges have been rising annually over the past decade, the realization of such pledges has not been satisfactory, according to government officials. The annual foreign direct investment pledge, which was Rs 415 million in FY2007/08, rose to Rs 55.75 billion in the last fiscal year. According to the data of Nepal Rastra Bank, the country received Rs 17.51 billion in foreign direct investments in FY2017/18. NRB officials say that only one-fourths of FDI pledge is getting realized. Government officials, however, maintain that the investment environment in the country has been improving gradually. 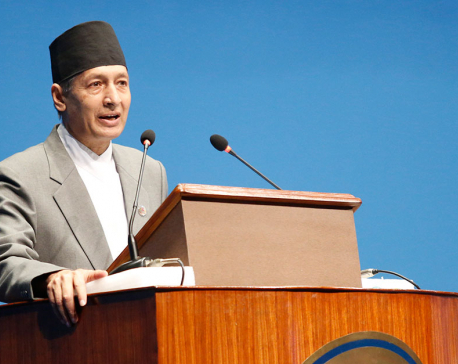 “We are making efforts to attract FDI,” said Industry Secretary Yam Kumari Khatiwada. “We have removed policy and legal barriers. The issues related to infrastructure gap and power supply have been already addressed, while we have started one-door policy for foreign investment,” she added.